When opening our eyes every morning, we have hundreds of tasks raining down on us the minute we become conscious of our day. Of all that needs to be done, demands to be met, calls to be made, deadlines keep up with. 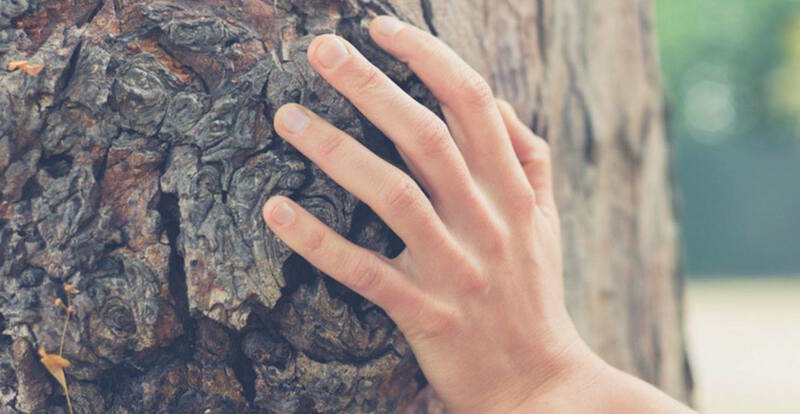 Well aware of the fact that life in a busy city like Berlin can become stressful, loud and overwhelming for us once in a while, we would like to introduce you to methods that will keep your mind and body sane and happy. To all of you who are new to the concept of mindfulness, you can look forward to our new series of posts, that will teach you more about how to get back to happiness in a place that is so full of noise and demands. 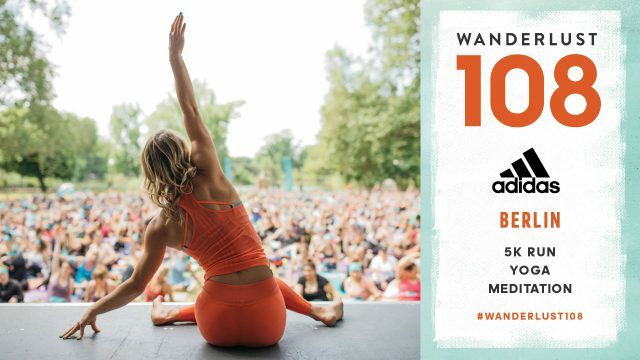 To start, we picked some fun and helpful events and workshop for this summer that will get you started and your mind and body back to balance. Every Sunday a wonderful crowd of movement and AcroYoga-fans meet up in this unique Berlin gym at Glogauer Str. 13 to practice the art of Acro Yoga! If you always wanted to try acrobatic partner yoga and were too shy to try, this is your chance! Everyone is welcome, beginners and advanced flyers, bring a partner or come alone! Meet the others on Sunday, 6.55pm at the back entrance of the gym to get started. Get ready to shake off all the stress and locked up energy by participating in this fun conscious dance event run by Ecstatic Dance Open Air! Grab your dearest or get to know new like-minded people when the ecstatic dance tribe meets this Monday (16th of July 2018) at Lake Tegel to welcome you to dance to the beats of DJ Ben Pavlides while creating some positive energy! The event starts (on time!) at 6.30 pm at Fährhaus Saatwinkel. Have you ever taken part in a retreat? 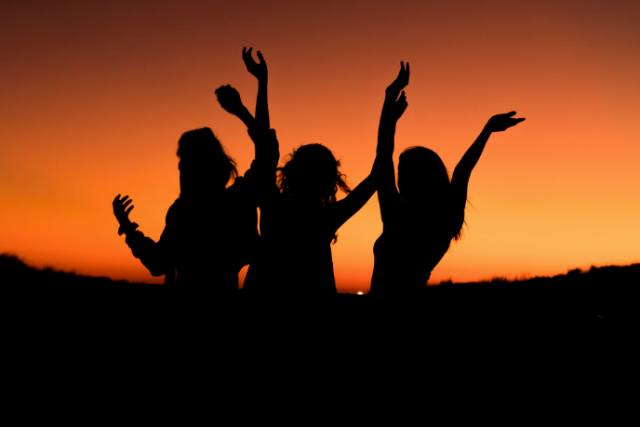 The greatest thing about taking part in a retreat is the environment that is created and the people you will meet. If you are new to it, the One Day Retreat with Yogi and dear iHeartBerlin friend Michaela Aua is a wonderful way to get introduced to it. Be prepared to step out of your daily hustle and bustle and tap into your body’s needs and meet them with yoga, discussions about self-love and mindfulness as well as meditation practice. Michaela hosts her wonderful retreat on the 22nd of July as part of the She She Retreat day program at the Freunde von Freunden Loft. Additional dates are on the 12th of August and the 9th of September 2018. 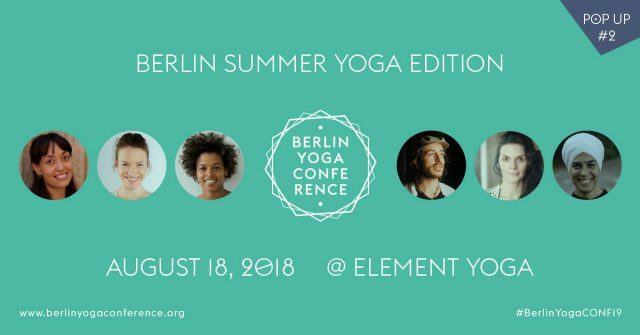 Element Yoga’s second Pop Up during the Berlin Yoga Conference does not only reward you with several yoga classes but also meditation workshops, a panel discussion about business and spirituality, philosophy lectures and an astrology class. Awesome!? 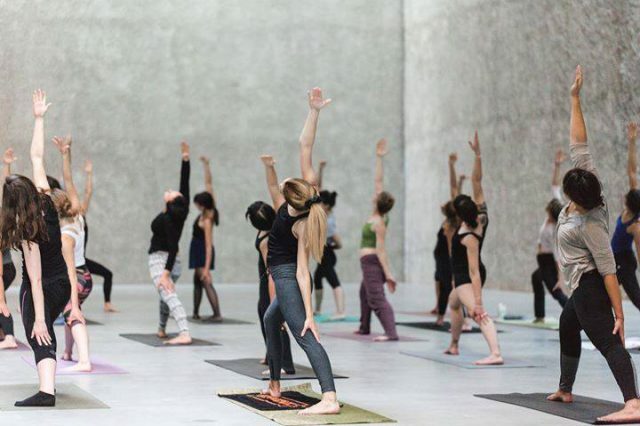 Get your full doses of mindfulness at Element Yoga on Saturday, the 18th of August! Enjoy this intensive 8-week mindfulness course focussing stress reduction lead by Claudia Braun. Learn about stress management, emotional balancing, and self-acceptance, taking place at Evolve Yoga. A wonderful way to stay centered with yourself in a busy and challenging city like Berlin. Be part of it from September the 5h! So you have always wanted to join a retreat, but didn’t dare to, didn’t have the money or the time? 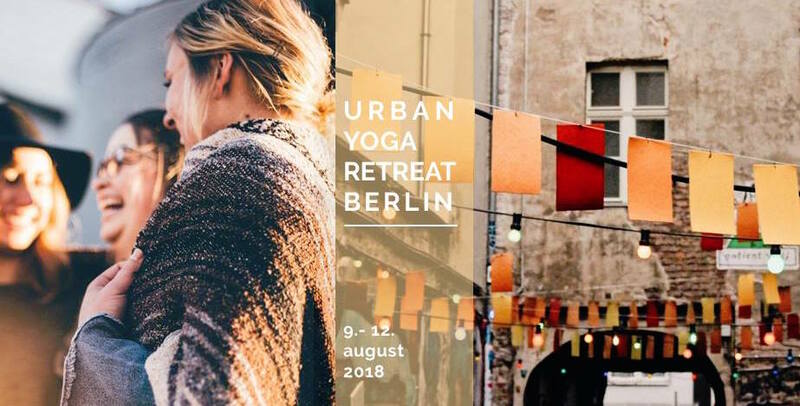 Yoga Spirit Circle is making your dream come true by hosting a retreat in Berlin, without accommodation of course, but with all the atmosphere and like-minded people you are looking for in an event like this. Join them on the 9th of August at their beautiful Town House in Friedrichshain and dive into another world. Since places to learn Acro Yoga are still rare in Berlin, I want to introduce you two another heartfelt Acro project. Every Tuesday at 6.30pm and Studio58 the wonderful Anja and Henrike will teach you how to fly, by teaching you acro patiently and compassionately. The best part is, if your partner has a Netflix kinda evening, you can go alone and still end up with an acro partner! Go and have fun! Are you having a hard time to meditate on your own? 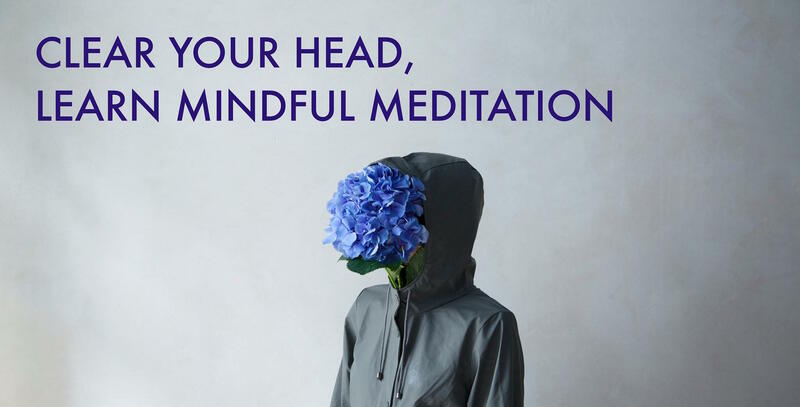 Why not join a meditation class once a week to practice, have meditation company and meet kindred spirits – sounds awesome? I thought so! 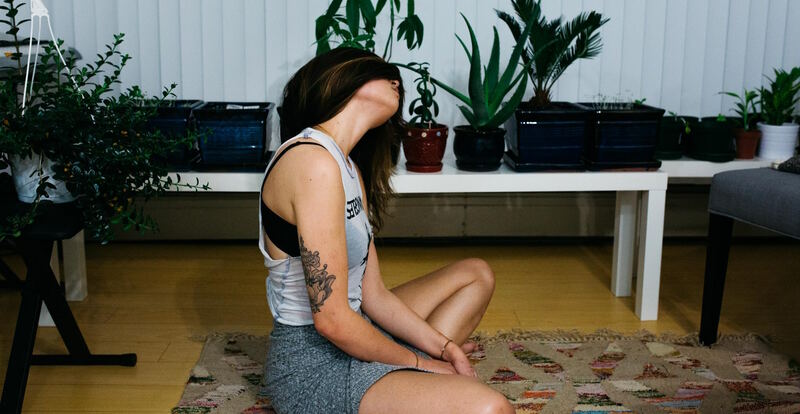 Come practice meditation every week at the Haus of One, every Friday at 6 pm! Probably the coolest place to practice yoga – ever! If you haven’t taken a yoga class inside the holy halls of the church St. Agnes yet, it should definitely be on your list! All levels welcome! Expect dynamic movements as well as strength building elements, precise anatomical alignment and ancient breathing techniques from the Yogis in the Himalayas. Also… look forward to a killer Deep House playlist!! Yoga courses at the beautiful CoCreation Loft do not only involve movement classes but also focus on meditation and mindfulness workshops. So if you are looking for a more diverse program with more diverse stimulation, this could be the place for you! The meet up is monthly until September, and each of the sessions focuses on different aspects of your body and mind. The Dream House is offering us exactly what we need in a crazy stimulating time like ours – secular, evidence-based training in mindfulness meditation, that focuses of getting back into the now, not giving anxieties a chance. Starting in September, this healing workshop will go on for 8 weeks. Are you ready to get back to being present? The world’s first mindful Triathlon! Join Berlin’s Yoga and Mindfulness community on September 10th to participate in this fun spiritual Triathlon at Tempelhofer Feld! First, you get your heart rate up by running 5km on the field (or walk, it doesn’t matter), then you join a Yoga Class and finish the day off by engaging in an hour of meditation. This is no competitive event, it can all be done in your own time and abilities! What a way to slowly kiss the summer goodbye! Not to forget the great Iyengar Yoga classes in english with Azul at IYENGAR YOGA STUDIO BERLIN in Kreuzberg , Oranienstrasse163, Mo 20.-21.30 h.and Wed.10.-11.30 h !!! Very inspiring !! !